A doctoral dissertation from 2009 shows that the Vikings sacrificed valuable and beautiful objects to the Norse gods and their forefathers at bridges and fords because they believed they were the boundary between the living and the deceased. The thesis by Julie Lund, Lecturer at the Department of Archaeology, Conservation and History at the University of Oslo – offers an insight into sacrificial customs of the Viking Age lasting from year 793 – 1066 AD. 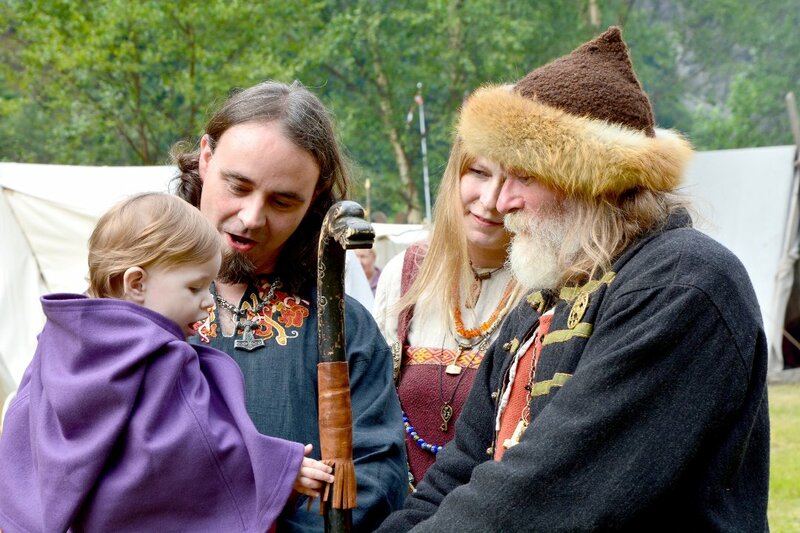 Previously it was believed that this type of sacrifices came to an end in the Migration Period around year 500, but it turns out that the tradition continued into the Viking Age. 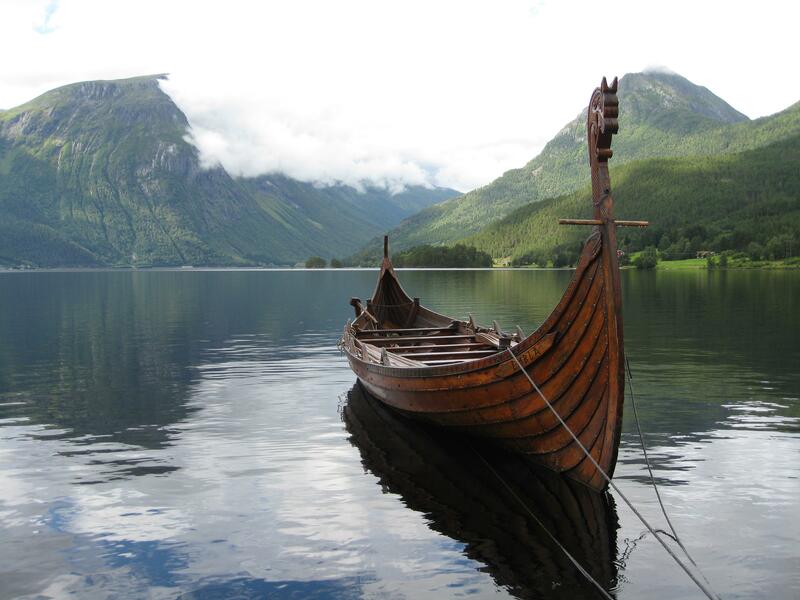 The Vikings used special places in the landscape for these rituals. Bridges and fords were particularly important because they served as a boundary between the living and the deceased. Viking settlements and burial sites were almost always close to water or connected by a bridge. Lund examined the findings from about thirty sacrificial sites in Scandinavia, from the River Thames in Southern England and the River Shannon in Ireland. Places that came under Scandinavian influence in the Viking Age. Many of the sacrifices or ritual closures took place at bridges. Many of the sacrificial sites were named after Norse gods, such as Tissø in Denmark, i.e. Tyr’s lake – the god of war and the one who decided who won battles. An important discovery is that these special places often are highlighted in Norse sources as central to how people perceived the world. Some of the most valuable and most beautifully decorated weapons with silver and gold inlays, as well as the finest jewelry with gemstones, were sacrificed. According to Norse sources, some of the items had names and may have belonged to deceased persons. Much suggests that several individual findings that have been interpreted to originate from graves, originate from offerings in rivers and lakes. 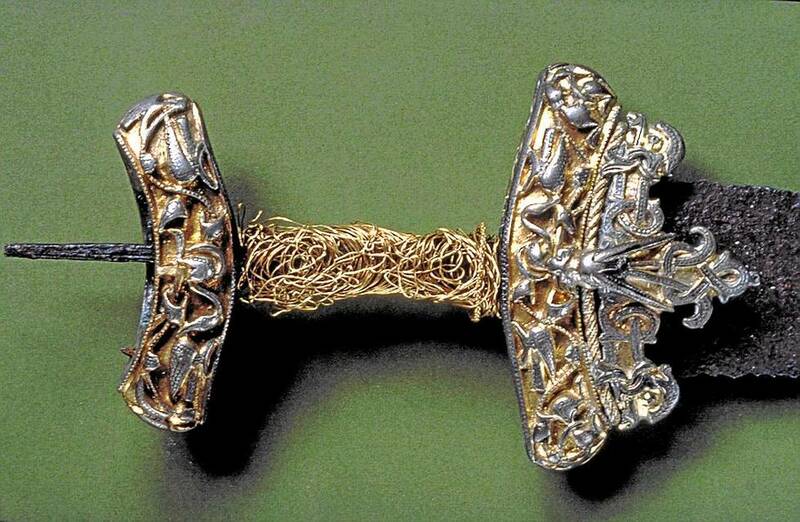 In Ireland, a mixture of Norse and local artifacts were sacrificed, something that shows how two different cultures were intertwined. Is there anything in the sagas or histories that suggest the purpose of the sacrifices? Such as, a sword that had a certain amount of renown being sacrificed after the owner had died in battle but could not be found for a proper burial, perhaps his things were sacrificed to the waters to join him in the afterlife? Or perhaps they were sacrificed so others could not use them afterward, or to gain some benefit from the gods for doing so? These are good questions, and as far as I know, the sagas do not suggest the purpose of the sacrifices. The logical answer is that the Vikings by sacrificing in rivers and lakes honored deceased who could not be found for a proper burial: Those who had drowned at sea, died in battle, disappeared during hunting etc. It is found one runic stone – The Eggja Runic Flagstone – that may have been a memorial to people who have died at sea. Few people knew runes and offering in a river or lake was a way to reach the dead and a symbol people could gather around. The whole Norse culture is a bit of a mystery. It could also be to honour the river/lake spirits; (wights). I’m curious what evidence or reasoning is behind the assertion that ‘bridges and fords … were the boundary between the living and the deceased’. Does anyone know?